Welcome to Saturday Sparks 59! It's such a treat to visit everyones linkups each week. You all continue to amaze me with your willingness to share and inspire others. Now, onto the Fabulous Features from Saturday Sparks 58. 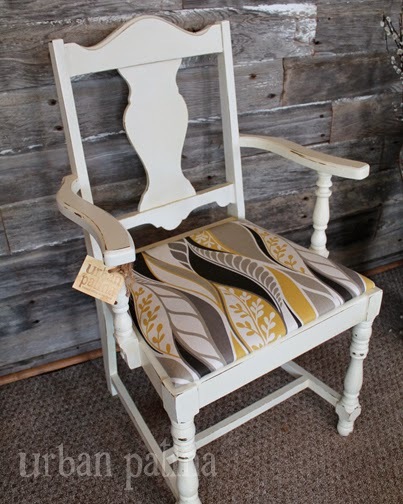 Spring Inspired Captain Chair at Urban Patina. Crystal was inspired by the beauty of Spring and revived this Captains chair into a happy and inviting piece of furniture. Love the fabric she chose for the seat. The Light Swap at Elizabeth Joan Designs. 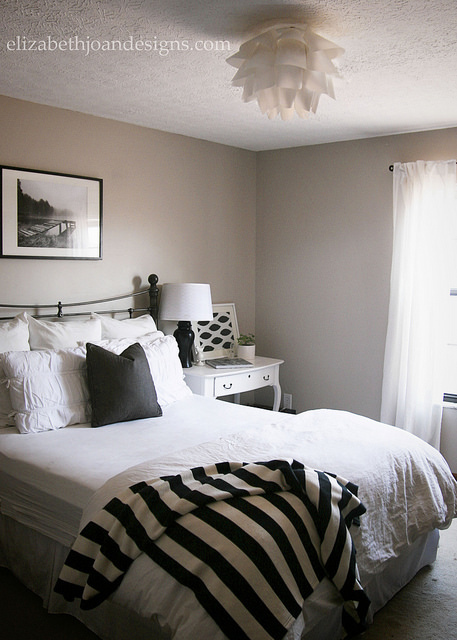 Sometimes, it's the small things that make a big difference - such as this updated light fixture in Erin's bedroom. So pretty! Getting Past Procrastination at The Decorating Chica. We have all been there - that little world called 'procrastination'. Cyndi bit the bullet and completed this vase after a long two year wait. The end results are just beautiful. 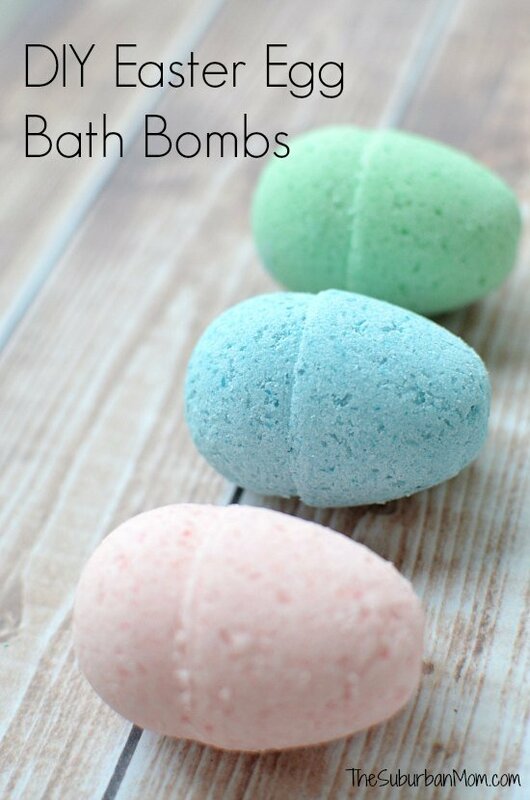 DIY Easter Egg Bath Bombs at The Suburban Mom. Jen shows us how make these oh-so-cute Easter Egg Bath Bombs that would be such a fun addition to a child's Easter Basket. Toasted Coconut Green Tea Scrub at Kleinworth & Co. - The warmer weather has Gina concentrating on keeping her skin soft and healthy. 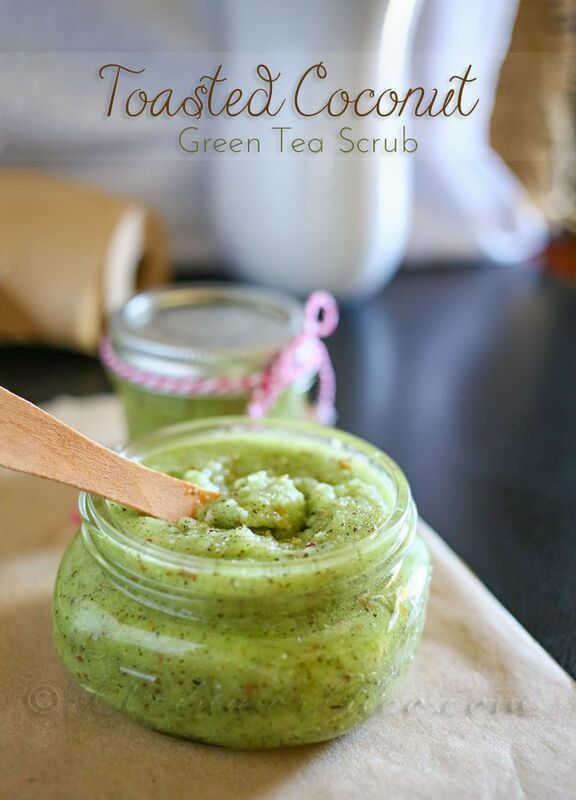 She shares this DIY exfoliating scrub that is a perfect addition to your beauty routine. 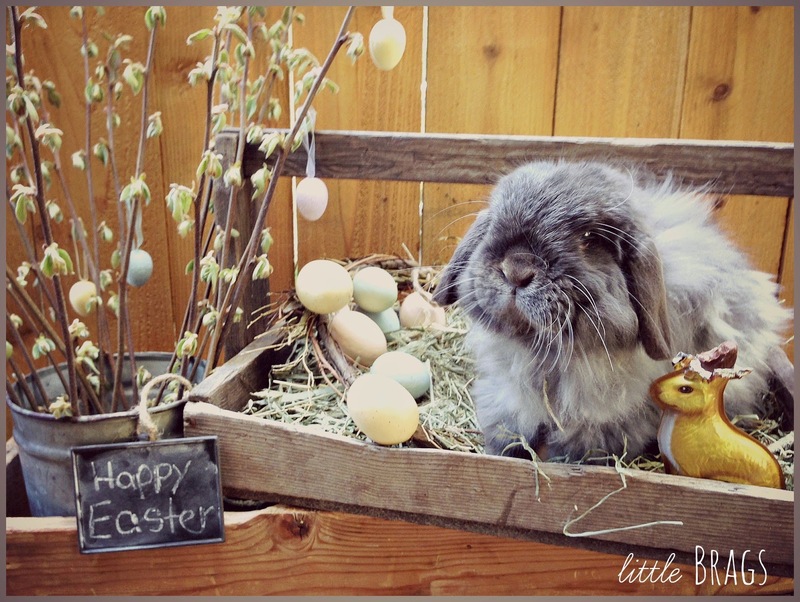 Meet Our Real Easter Bunny at Little Brags. 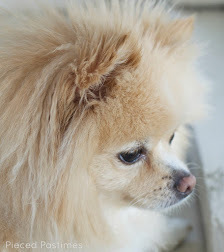 Christine shares some sweet pictures of 'Bugsy' - their very own Easter Bunny. 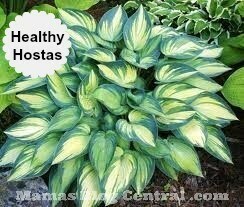 Healthy Hostas at Mamas Blog Central. Wendy loves her Hostas but sadly, the bugs do too. Luckily for her, her mother-in-law shared a homemade solution that solved her bug problem and also gives the plants a nutrient boost that helps them thrive. Bunny Stitching Vignette at Priscillas. 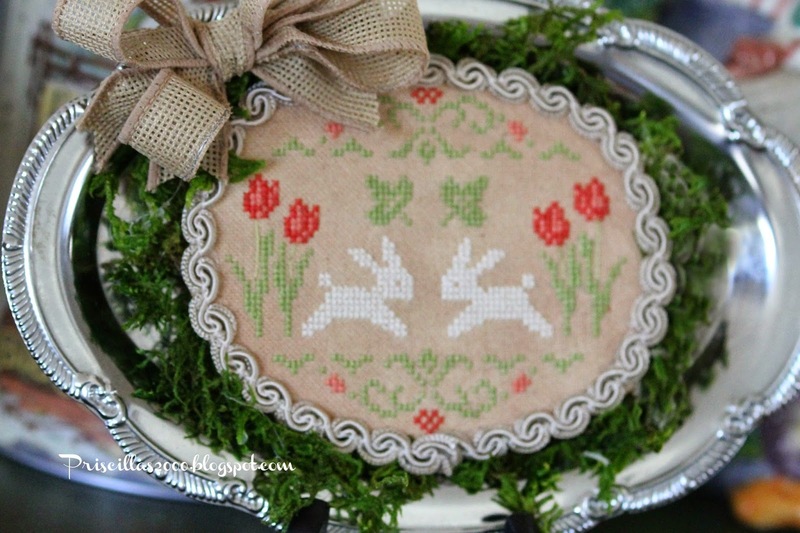 Priscilla shows us a lovely vignette she created using a bunny stitchery that she cross stitched just in time for Easter. Why I Allowed My Son to Hang a Poster at Calypso in the Country. Shelley had a vision for her 10 year old sons room, but he had a different plan and the time had come to allow him to express himself. 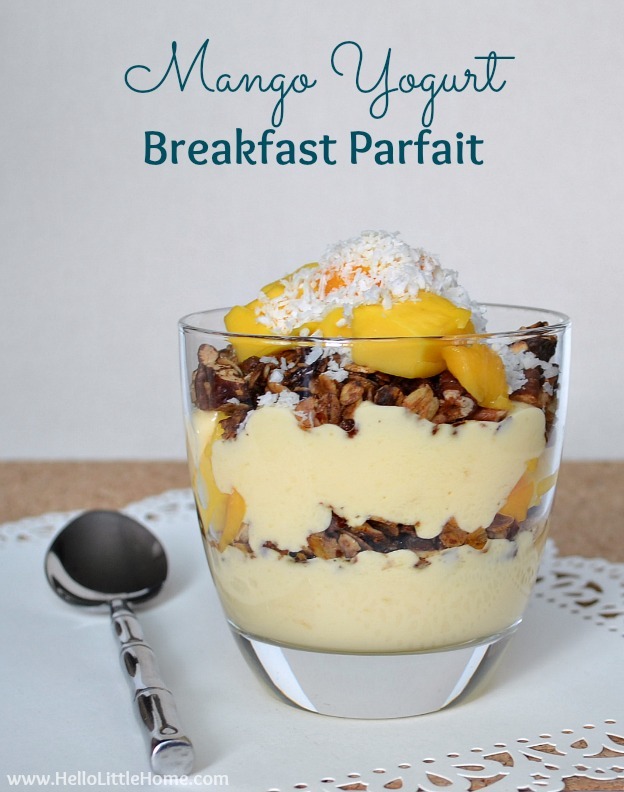 Mango Yogurt Breakfast Parfait at Hello Little Home. Ginnie continues her monthly Motivation Monday series with a healthy and delicious recipe for a breakfast parfait. Lemon Tartlets Recipe at About A Mom. 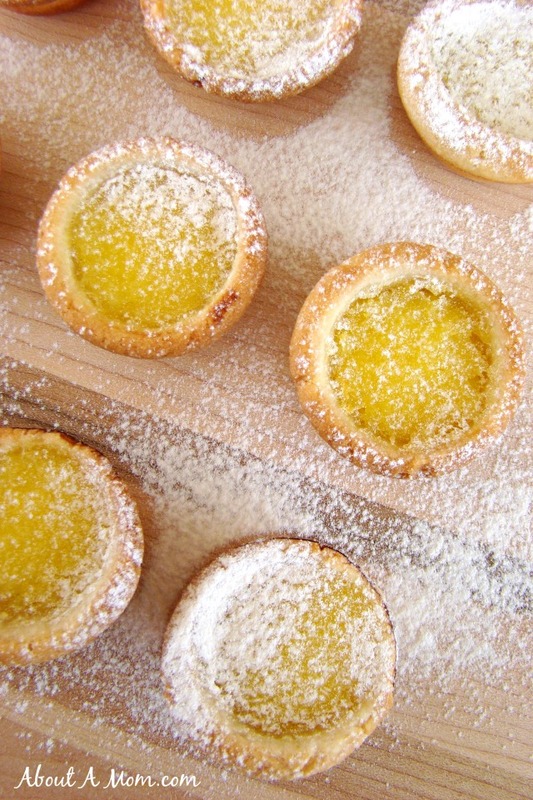 Angela shares a recipe for Lemon Tarts that she says is a perfect combination of sweet and tart. They are so pretty and would make a great Easter dessert. I will post features next week to Pieced Pastimes, Facebook and Pinterest. - Post the party button (above) or a text link back to the party or on your post. - Share your own projects - something that is made by you. - Follow Pieced Pastimes via one of the social media links at the top of the sidebar. Hi Suzanne. I love your first feature, the gold and grey chair, so pretty! Thanks for the party and hope you have a very Happy and Blessed Easter! Thank you SO MUCH for sharing my scrub- Hope you have a very Happy Easter! Hi, Suzanne! Great features - that bunny is so cute:) Thank you so much for including my mango parfait! Have a great weekend! Many thanks for hosting. Have a Happy Easter! Hi Suzanne! Thank you for hosting this awesome Blog Hop! Have a great weekend! So many creative ideas again this week. Thanks for hosting Suzanne! 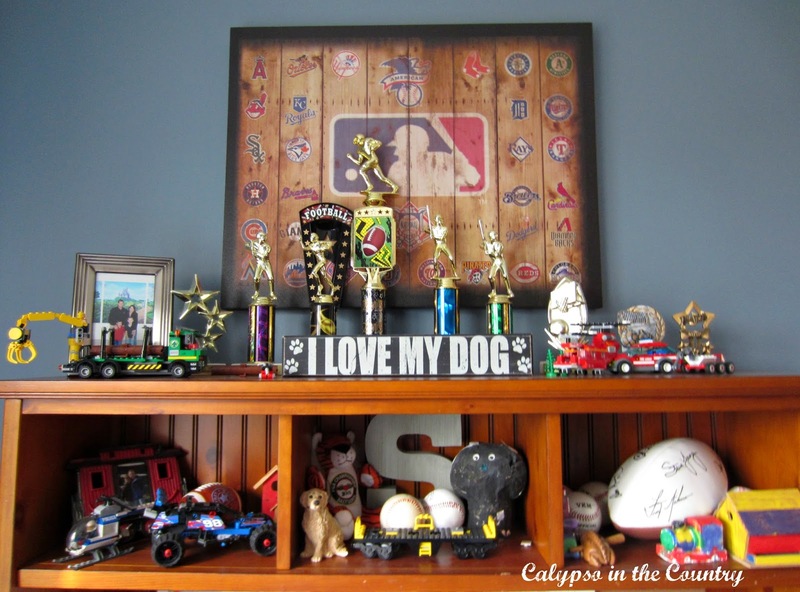 Thank you so much for featuring the post about my son's room! Enjoy your week! Thank you so much for hosting and have a great weekend.